I love the White Mountain Hotel! Not only to they have stunning scenery and breathtaking backdrops, but onsite is Dennis Duprey, resident Justice of the Peace. Dennis is so easy going, approachable, and funny! He takes his job very seriously but also puts the couple at ease with his fun outgoing personality. 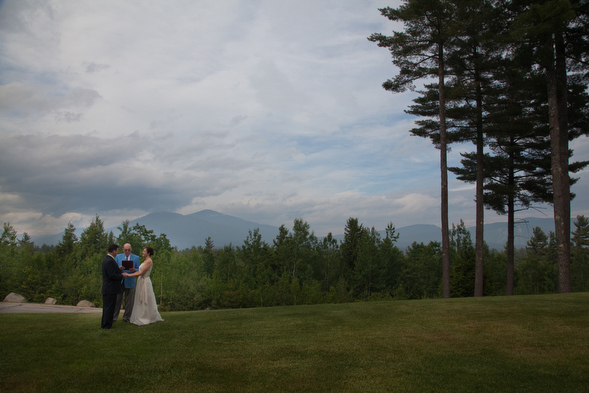 Having Dennis on property is easy for me, as the last few weddings I’ve photographed or filmed there have been early or moved location (because of snow). He’s great about going with the flow. No stress, no pressure. Thanks again for a fun time at the White Mountain Hotel and Resort!